Hi! 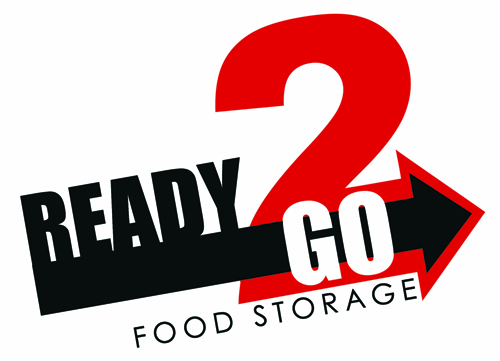 Welcome to Ready2Go Foodstorage. My name is Laura and I am so excited to share with you some tips about how you can help your family become more self reliant. I am passionate about motherhood, emergency preparedness, homesteading, nutrition, and learning new things. Stick around as you follow my family on our journey to becoming more self reliant. I have a great love for emergency preparedness and how to become more self reliant. The love did not come from what some refer to as “doomsday” prepping. This love of learning has grown because of how it has influenced my relationship with my Lord and Savior, Jesus Christ. I want to share with you some of the lessons I have learned. I had just given birth to my oldest daughter. I remember looking at her and realizing she was absolutely dependent upon me for her health, safety, for everything. It was in that moment that I realized I need to do more to prepare for the future, her future. I knew what the scriptures have taught about all of the disasters and hard times that are coming. We were and are seeing disasters all the time in the news. Modern day prophets and apostles have also declare the need to be prepared. I knew I needed to prepare for emergencies. At first, I was preparing out of fear. Fear of the disasters and unknown. My husband and I did all we could to get prepared. We set a budget together that would allow us to save for emergency preparedness. In this state, when we were making many sacrifices to follow the counsel of getting prepared, we saw so many blessings and the Lord’s hand guiding our way. We continued onward always preparing for everything we thought possible that could happen. The one day that changed my life forever. The day I realized there was absolutely no way I could be completely prepared. There are too many things that could go wrong and too many what ifs. I could never be completely in control and prepared. I realized in that moment how much I needed my Savior. I know that He is in charge of all things and is capable of doing all things. I realized in that moment that I needed to know His voice. I needed to know Him, because I was going to need Him. It was not good enough to just know OF HIm, but I needed to KNOW HIm. So I could recognize His voice and His guidance. It was such a humbling moment. Emergency preparedness has taught me humility and to trust in the Lord. Emergency preparedness always brings me back to this realization and keeps me longing for a greater relationship with my Savior. This has developed into me truly studying the scriptures and taking greater care in my prayers to strengthen that relationship. It has also taught me gratitude because as I prepare I am able to see all of the modern day conveniences we have and I feel blessed. It is humbling to see all God has blessed us with and how amazing this world is that He created for us. For example, when we plant a garden seed and see how it grows to feed our bodies. It has also helped me financially. I am not only buying in bulk which saves me money, but I am learning how to make things from scratch because of those long term food storage items. It helps my family eat healthier and saves me money. So now today, I no longer prepare out of fear, but out of faith. Faith that the Lord is in control of all things and that I can trust in Him. Good for you Laura! I am excited to read your blog!!! Much love friend! What a great idea! You will make a great blogger. Thanks for your inspiration. updates from Ready 2 Go. How do I start my food storage?